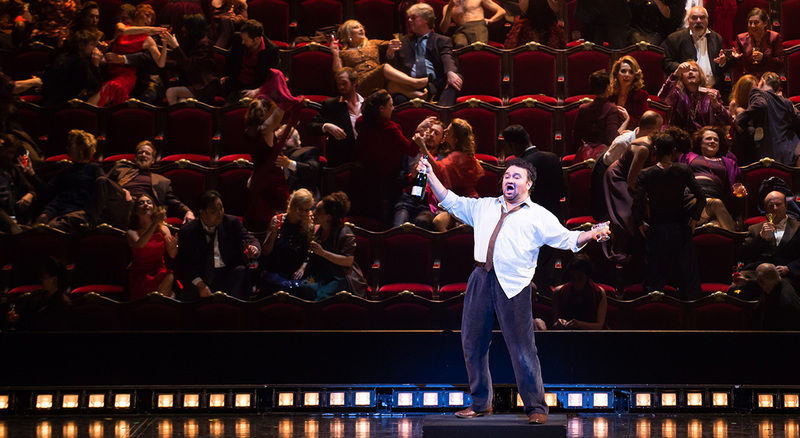 Experience The Paris Opera & Ballet’s spectacular production of Offenbach’s operatic masterpiece Les Contes d’Hoffmann starring tenor Ramón Vargas, directed by Robert Carsen, and conducted by Paris Opera Music Director Philippe Jordan. Based on three tales by E.T.A. 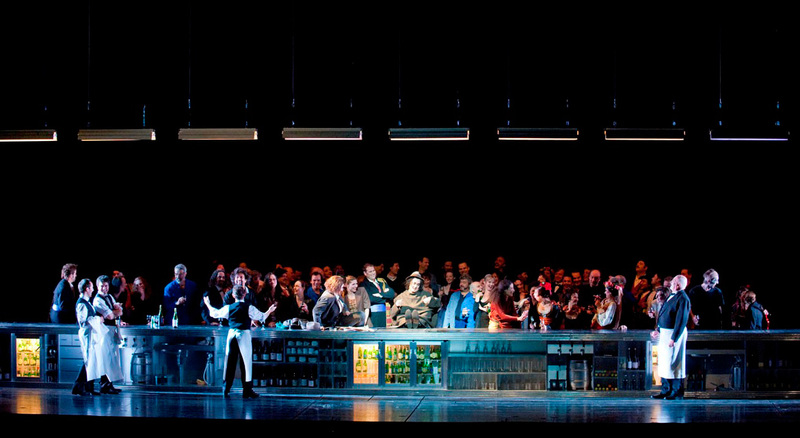 Hoffmann, with a sprinkling of Goethe’s Faust, the opera portrays the German poet as both narrator and hero recounting his impossible love affairs with Olympia (soprano Nadine Koutcher), Antonia (soprano Ermonela Jaho), and Giulietta (mezzo-soprano Kate Aldrich). 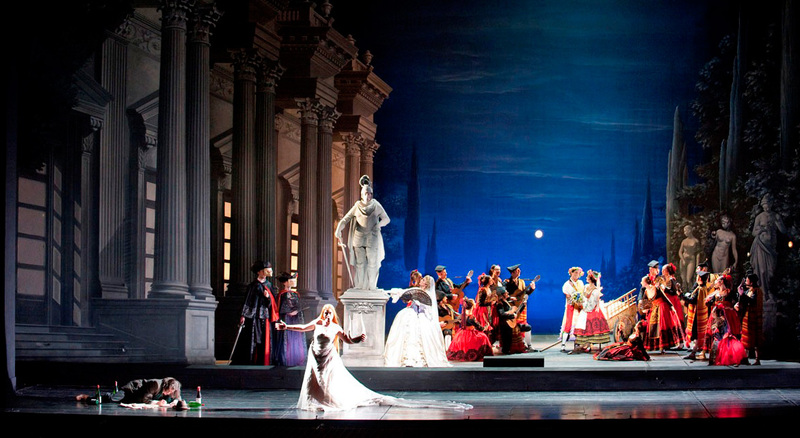 Mezzo-soprano Stéphanie d’Oustrac stars as Hoffmann’s page, Nicklausse, and muse; bass Roberto Tagliavini plays the four villains; and tenor Yanne Beuron portrays the four servants. Robert Carsen’s production highlights the melancholy genius of a man marked by life, with coherence and dramatic sense but also a touch of ambiguity. Offenbach had written more than 100 operas and operettas by the time he started composing Les Contes d’Hoffmann. It would become his masterpiece, fusing fantasy, gravity, and humor in an unexpectedly innovative synthesis of opera buffa, romantic opera, and grand opera. He would never see its success, though; Offenbach died in October 1880, four months before the premiere at Paris’s Opéra-Comique. Coffee, tea, and cookies will be served during the intermissions. The Paris Opera & Ballet is a world cultural treasure with a rich history that underpins an innovative, vital present. The Paris Opera traces its beginnings to King Louis XIV of France, who established a formal academy of music and dance at court in 1669. Over the centuries, the company has undergone many transformations as a public institution. Today the 430-member company of musicians and dancers, led by general director Stéphane Lissner, ballet director Aurelie Dupont, and music director Philippe Jordan, collaborates with acclaimed directors, choreographers, and singers, and enjoys a position as one of the leading opera and ballet institutions in the world. This year, it celebrates its 350th anniversary and the 30th anniversary of the opening of the larger of its two theaters, the Opéra Bastille. 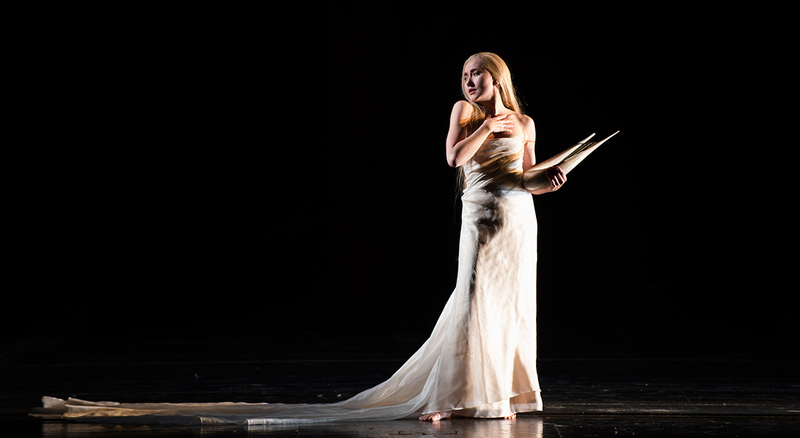 The American Friends of the Paris Opera & Ballet (AFPOB) presents work by The Paris Opera & Ballet directly to the American public and fosters artistic cooperation between the Opera national de Paris and the creative community in the United States. Based in New York, the organization was incorporated in 1984 at the request of Rudolf Nureyev, the Ballet Director of the Paris Opera at the time, to help the company tour in the US. AFPOB helps to underwrite numerous US tours and guest appearances by the Paris Opera, the Paris Opera Ballet, and the Paris Opera Ballet School, as well as exhibitions from the Paris Opera Museum. 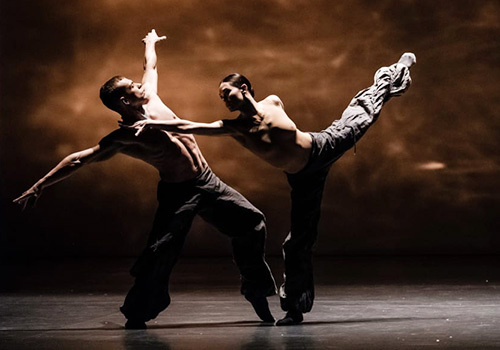 AFPOB also supports works at the Paris Opera by leading American artists, such as Jerome Robbins, Trisha Brown, William Christie, Peter Sellars, and Robert Wilson.